From Monday 28 January 2019, there will be some changes to The Café’s breakfast. We will reduce the number of breakfast items on offer from 11:30 onwards every day, to ensure we can offer a wide variety of tasty meals at lunchtime. 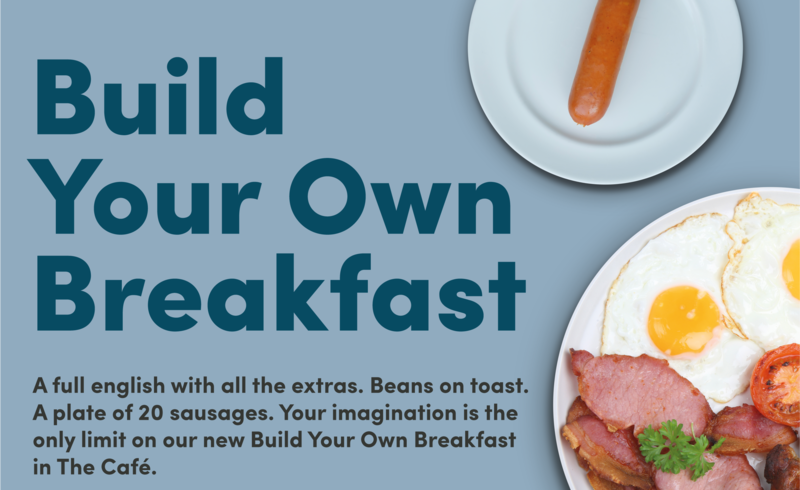 Your all-day breakfast will still be available, just on a smaller scale! We hope you check out all the new lunchtime menu options, too.